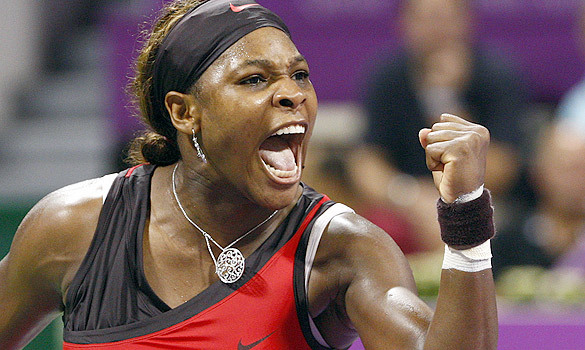 TMR Editor’s Note: When she can’t win the match legitimately, she throws a temper tantrum. 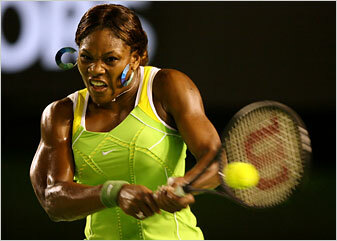 Or, is this Serena’s way of getting back at the WTA for subjecting her to mandatory drug testing? 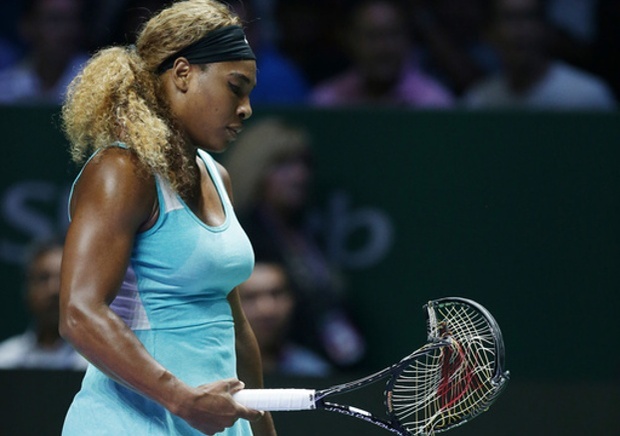 Serena Williams complains about drug testing again—Why, is she hiding something? 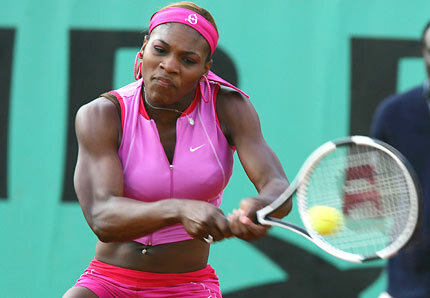 The media darling of the tennis world for many years now, Serena Williams is always the center of attention. Losing the spotlight as she ages and loses her talent only means that she will find other ways to stay in the limelight, even if it means exhibiting extremely bad sportsmanship. 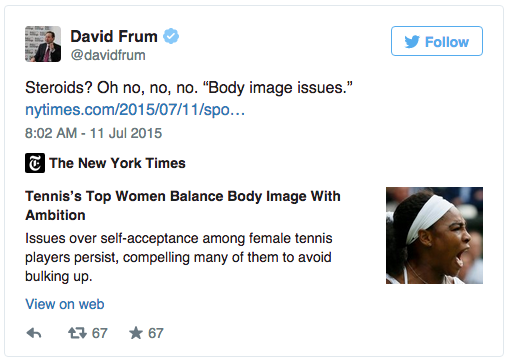 How many other professional tennis players are cut so much slack? 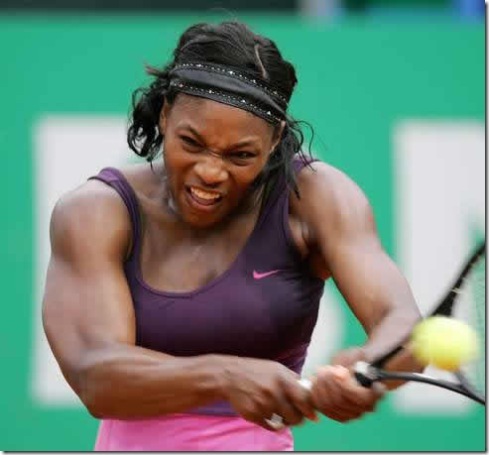 Because she is both black and a woman, Serena always takes advantage of her minority status as the video posted above clearly demonstrates. 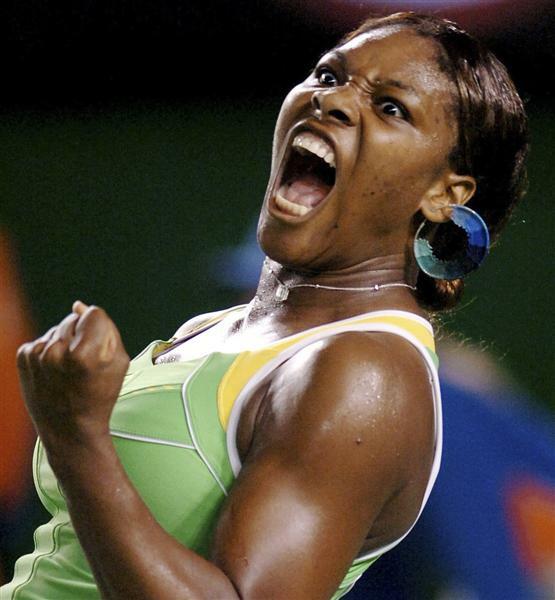 Why do so many American pro tennis players morph into super-brats? Remember McEnroe and Connors; they also wrecked the game. However, whereas they were a couple rich, spoiled white kids with an entitlement complex, Williams fits the profile of an ultra-liberal SJW snowflake who uses her manufactured social hyper-sensitivity for self-serving purposes. 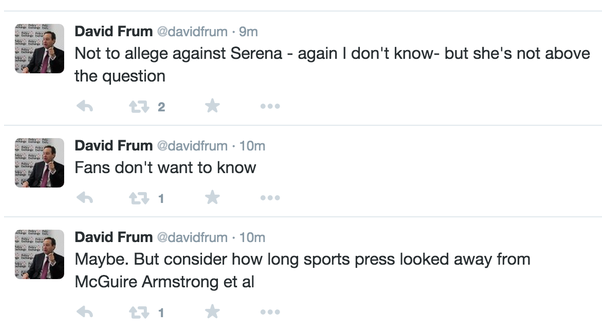 Again, the video above shows that it’s all about Serena, all the time. Stealing the stage from first-time US Open winner Naomi Osaka was both selfish and embarrassing. The crowd even booed Naomi when she received her trophy. Not very nice…not very nice at all! N.B. 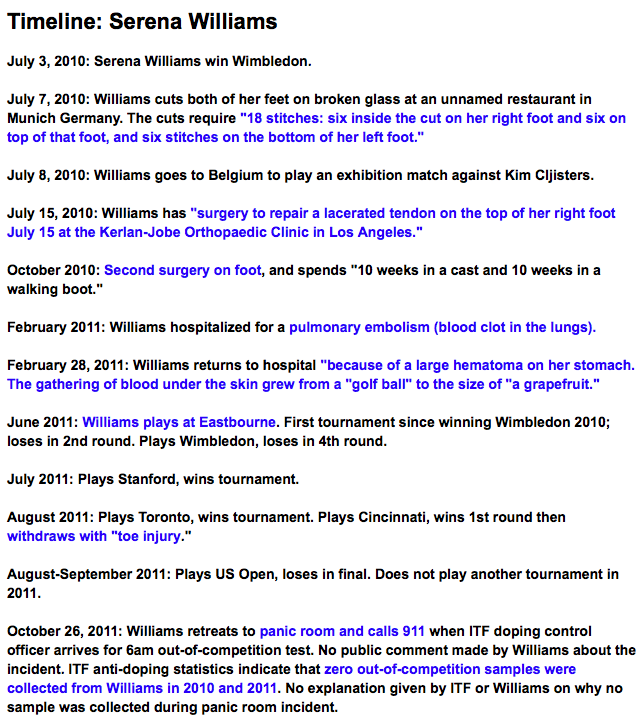 The article below not only asks some critical questions about Serena Williams, the exposé also presents some compelling evidence. 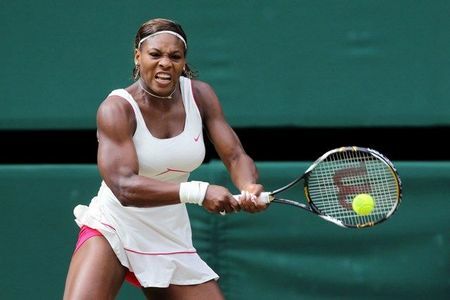 #1 Question In Women’s Tennis: Has Serena Williams Been Doping With Steroids?